Bottle drive fundraiser for Stollery Children’s Hospital. 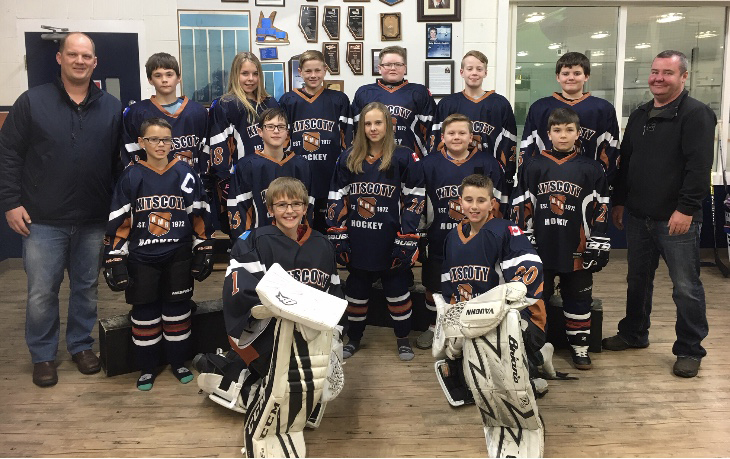 The Kitscoty Peewee B Knights have been selected to attend the Family Day Classic Hockey Tournament happening in Edmonton. All proceeds raised will go directly to the Stollery Children's Hospital. The team will be having a bottle drive Jan 2 from 5-7 at the Kitscoty Arena. You can contact Amanda at 780 808-7692 or Rachelle at 780-808-4350 as well as any member of the team to arrange for pick up. Please consider saving your bottles over the Christmas seasons and donating to this worthy cause!